Delicious and for a great cause. 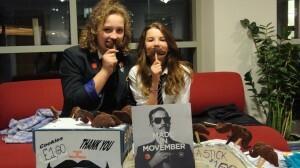 Brynja and Rosa visited Computer Science to raise money for Movember. They have raised approximately £1,000 so far, so keep on buying. Find out more on Facebook.